Get rid of leaves, straw, grass, cobwebs, sand, gravel - as well as the hard work. Husqvarna blowers are designed to be efficient and enjoyable to work with, and with range of jobs in mind you can be sure these blowers will handle the task effortlessly. Lightweight and well balanced for your clean up needs. 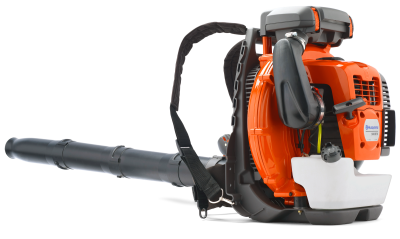 For more information about Husqvarna's commercial leaf blowers, visit this page. For more information about Husqvarna's homeowner leaf blowers, visit this page. For more information about Husqvarna's Battery Series leaf blowers, visit this page.